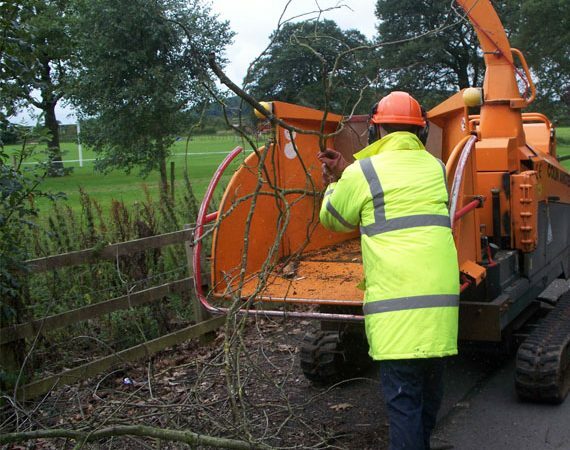 Training is usually conducted on site, however we are able to find appropriate sites and hire of a woodchipper for training if required. Provision of site specific Risk Assessment. HSE regulations and safety guidelines. Operator checks and safety features. Inspection and identification of faulty blades. Safety checks before during and after use. Preparation of work area and identification of hazardous material not to be chipped. Appropriate techniques to chip short and long sections of timber safely and effectively. Environmental factors involving the disposal of waste. This is a Lantra integrated training and assessment course and at completion a skills card and Lantra certificate will be awarded. with up to 6 candidates, plus Lantra fee of £36 per person.